Website owners who target parents and babies as their main audiences would want to get a theme, which can attract that kind of audience. Whether you are selling baby products, presenting baby care tips or simply an entertainment wordpress website such as a cartoon site, you can make use of WordPress baby themes. 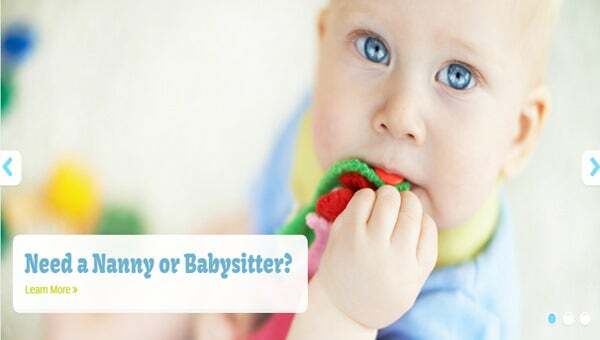 Some of these themes can be suitable for nannies sites, babysitters, mom’s blog, and other websites that are baby oriented. This template with its varied plugin support including WooCommerce, WPML, Content Form 7, Community Forum etc, can be used for all types of websites. Elegant sidebar control offers easy navigation. Built in widgets ensure quick social media integration. The Zoom magnifier feature is a perfect addition if you intend to use the template for Ecommerce purpose. From job listings to interesting blogs, you can add all this and more to your website with this template. Designed with JQuery codes and adapted from WordPress, this has a user friendly interface which makes working with it a breeze. The powerful admin panel allows easy customization and the wide range of color and font styles add to the fun. This template with its retina ready and responsive design would look good on all devices irrespective of their screen sizes. It has an HTML animated slider that offers comfortable navigation and also makes for an attractive look. Changing the background, color and font is easy, thanks to the powerful customization options. 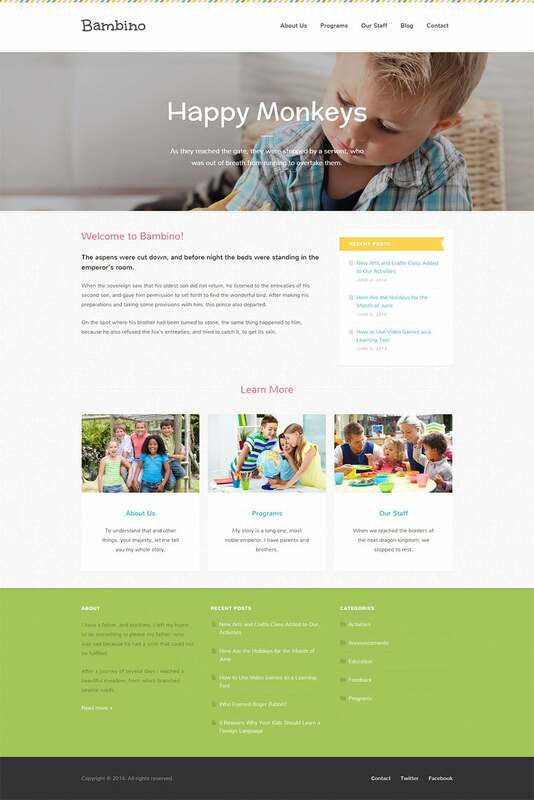 A rather unique design, use this theme for a baby website irrespective of its nature. You can even use this to start a baby Ecommerce portal what with the template supporting WooCommerce plugin. It is SEO optimized and thus ensures more traffic. Whether you want a single page website or a multipage one, this is perfect for you. Built on Bootstrap 3.0, this has a responsive design and can be easily customized. 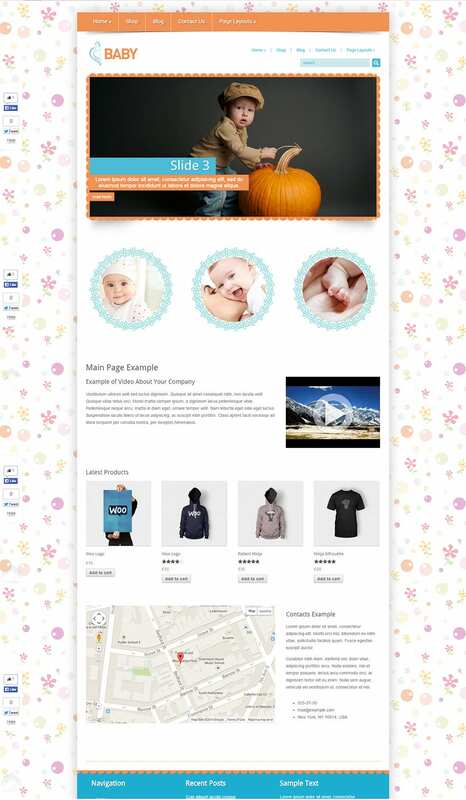 Created using WordPress 2.8, this theme would be an ideal choice if you are thinking of starting a baby related blog. The minimalistic design and the user friendly interface make it easy for you as well as the readers to maneuver through the site. The built in widgets ensure quick and easy social media integration. The interactive side panel ensures easy navigation. High end customization options offer a chance to add a personal touch to the website. This template with its responsive design offers you a choice of different layouts to choose from. SEO optimized, driving traffic to the website would not be a task with this template. A simple and minimalistic design, it comprises of features that allow you to create menus that would improve navigation. With the Theme customizer, making changes to the layout is easy. Add page specific options by using the customized meta boxes. 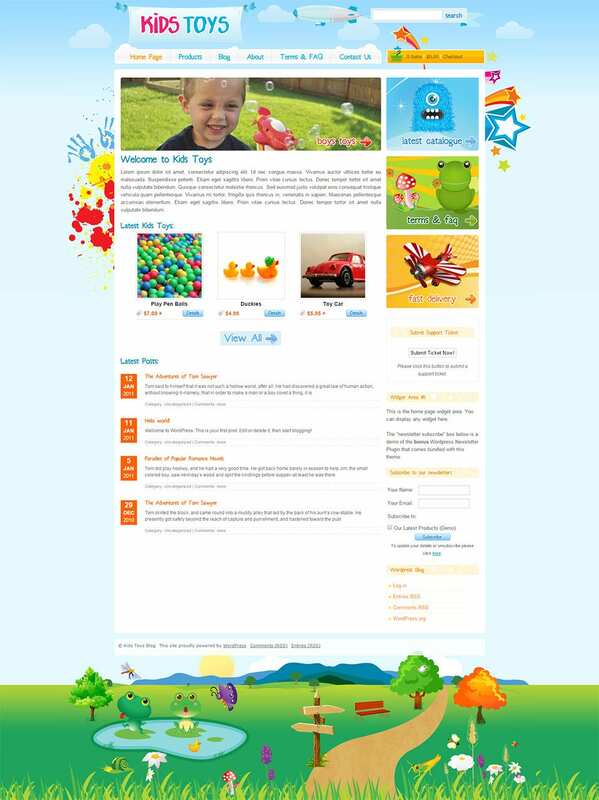 Whether you are thinking of designing a website for kids’ activities or of creating an Ecommerce portal for kids’ toys and other accessories, this template would just be the right fit for you. Thanks to the WooCommerce plugin support, converting this template into an Ecommerce website is easy. The theme customization feature allows you to make changes to the design as per your requirements. Creating menus and side bars is easy. Social media integration is convenient thanks to the built in widgets. 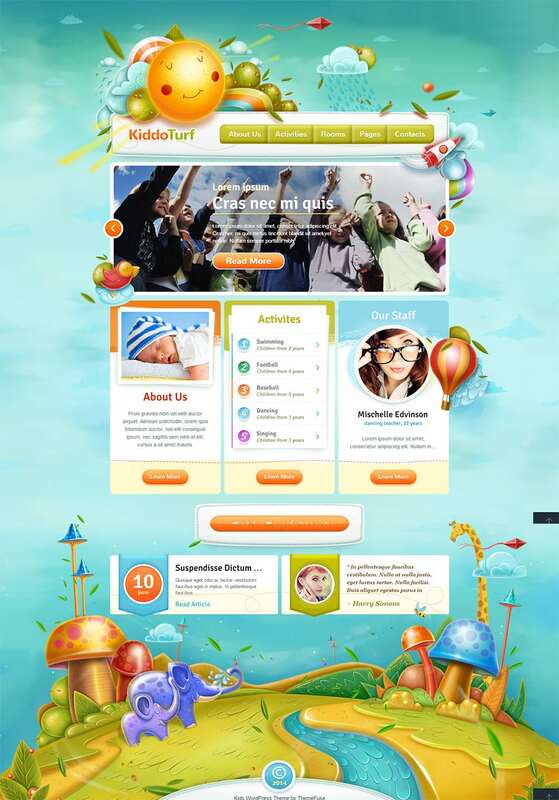 As the name suggests, use this template designed in WordPress for your kids related Ecommerce portal. Compatible with WooCommerce, this template offers a number of impressive sales features that are sure to improve user interaction. The integrated blog option allows you to maintain a blog to engage the users and drive in more crowds. The SEO optimization further improves the chances of increased clientele. Thinking of designing a blog to announce the arrival of your little one? Well, this Arrival template would be perfect for the purpose. Created using Builder, you can easily design layouts and widgets in this template and retain them for as long as you want. Making changes to the template does not require any knowledge of coding and can be easily done using the customization plugin. 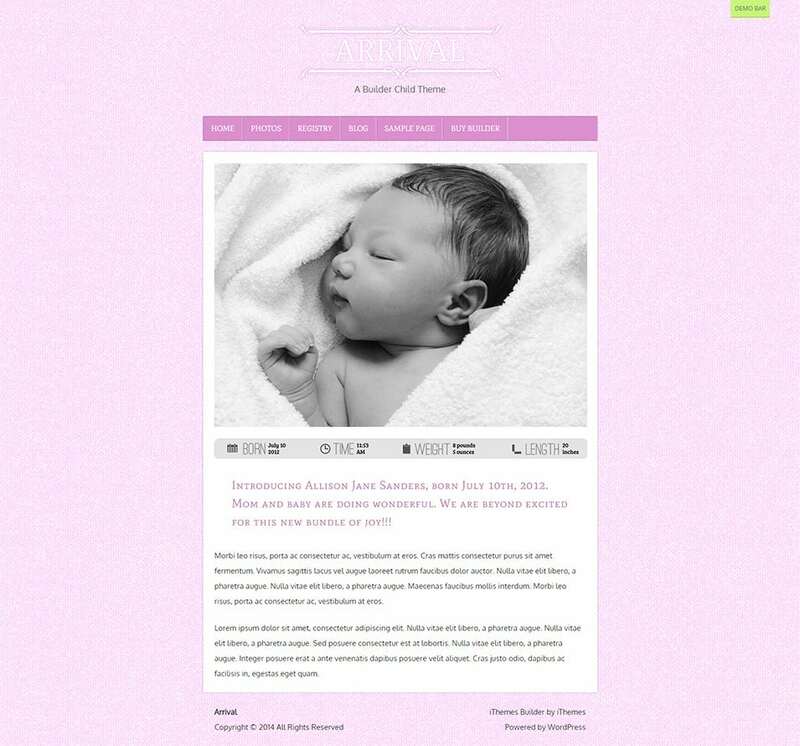 Looking for a baby themed template for your blog that would be well within your budget? Go ahead and pick this Baby WordPress theme which you can get free of cost. With a simple and minimalistic design, it looks quite modern and has an uncluttered look that makes for improved user interface. The responsive design ensures that it adapts to all screen sizes. Easy to customize, make necessary changes to the template easily. 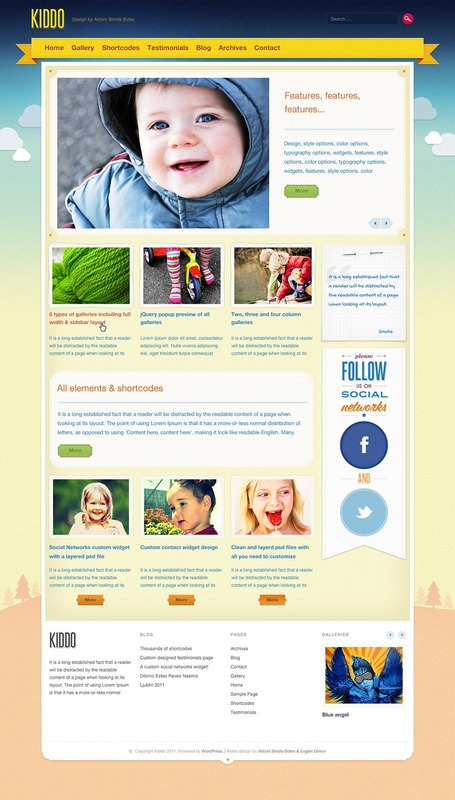 Designed on WordPress 3.0, this template is perfect for babies and kids related websites. 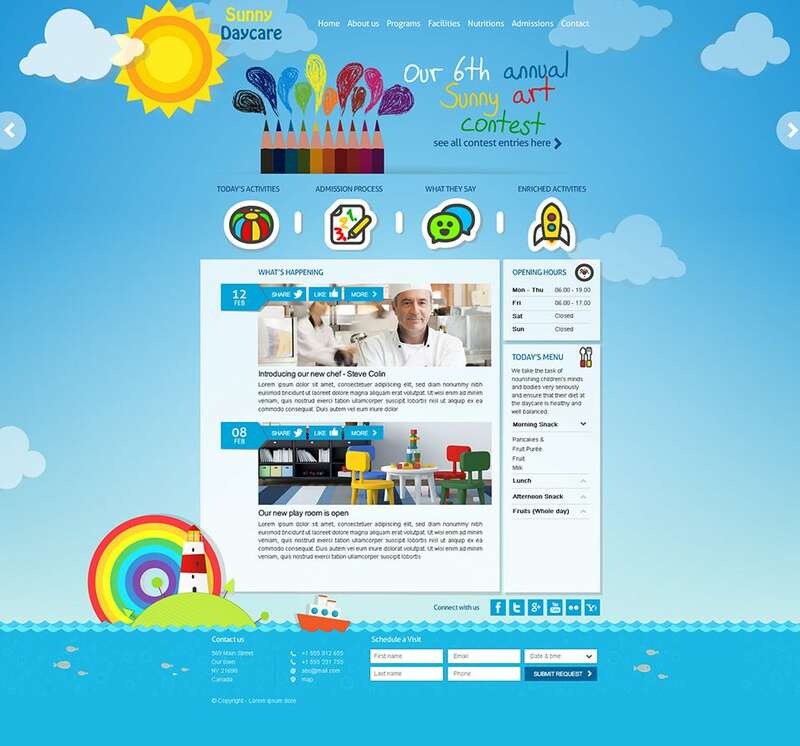 With 6 different layouts to choose from, designing a user friendly, interactive website is easy. The integrated slider bars make for comfortable navigation. With built in widgets, social media integration and linking with other websites is easy. If you are selling baby related products including maternity, sweets, candy, and baby skin care products, you want a site that features a theme associated with babies. It has to look sweet, caring, candling, and above all fun. You can work around the theme to modify it so that it fits well with your preferences. You can also see Wedding WordPress Templates. 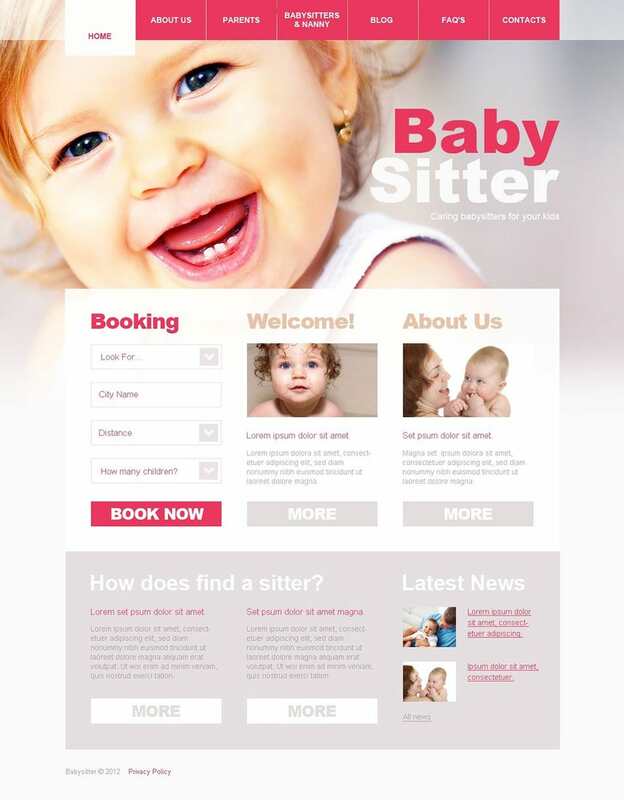 All the folks who are running baby related business can make their brands known by people by designing websites using templates, which have been designed for that theme. There are all designs you can think of ranging from minimalistic designs to retro designs. WordPress has enabled many businesses and individuals to create websites that are professional and very attractive. With great app developers supporting the work of designing templates, businesses and people can get virtually any kind of theme they need. The themes are carefully crafted to make sure that they produce the best results by attracting audiences while they remain SEO oriented. Choose your baby related theme from an array of WordPress baby themes and start growing your business or expounding your brand. You can also see Furniture WordPress Templates.